Providing great tone for blues, classic rock, jam, southern rock and hard rock playing styles, the Pearly Gates SH-PG1 Bridge pickup from Seymour Duncan is an amazing humbucker. This pickup comes with a gold cover. The SH-PG1 was originally designed to recreate the '59 Les Paul® Standard pickups that had brought a defining raw, rebellious sound of Texas blues-rock. The Pearly Gates provides great sustain and a bright top end which really enhances harmonics. 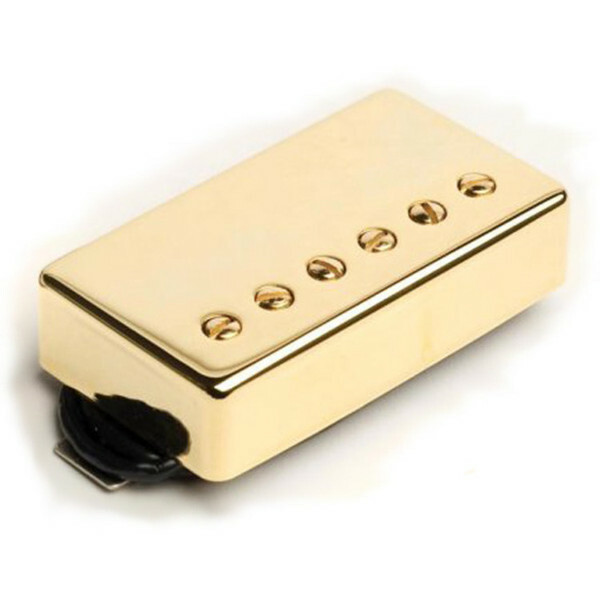 This pickup has a stylish gold cover and includes a four-conductor hookup cable. The SH-PG1 Bridge pickup pairs well with an APH-1n Alnico II Pro in the neck for smoother tones.